Make this to fit what kind of meat you want! Use matching broths for best flavor. Chicken with chicken. Beef with beef. I used chicken when I used ham. Change up the veggies to fit your budget and carbs you want to use! Saute onion, veggies, garlic, salt and pepper in 2 Tbsp butter in 10-12″ cast iron skillet until tender. Add in cream, broth and herbs. Sprinkle with xanthan gum. Simmer covered for 5 minutes. Fold in chicken. Combine cooled butter with eggs, salt and sour cream in a small bowl with a whisk. Add coconut flour & baking powder. Stir till combined. Stir in cheese. Drop batter by tablespoons in small cobble pattern. Bake at 400F for 20 min. IMPORTANT: let sit 10 minutes before serving! Reheat in 350 oven for 8 minutes. 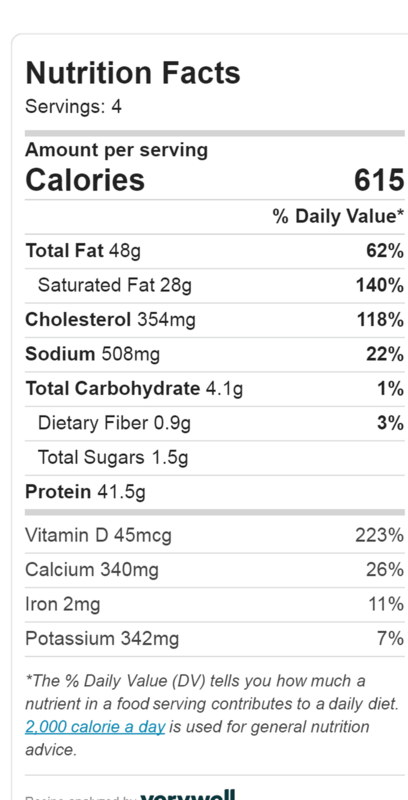 per serving when using veggies listed and chicken.